River cruises have been gaining popularity over the last decade, and this year they're the #1 bucket-list vacation, according to Luxury travel network Virtuoso, who surveyed nearly 6,000 people from 60 countries. These cruises, which wind through inland ports of major European cities, have all the hallmarks of a traditional Eurotrip: you get to travel from city to city, with routes like Prague to Budapest or the Netherlands to Belgium or even Paris to Normandy. But the best part is you experience all the location-hopping while only having to unpack once. 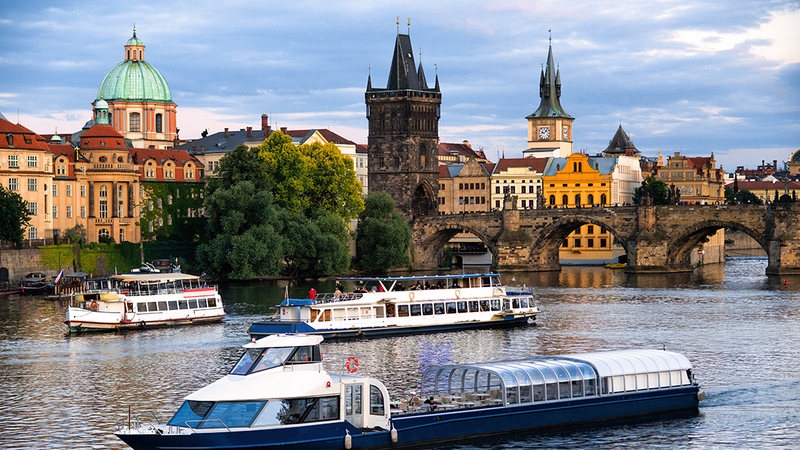 Many of the river cruise lines are not only expanding their fleets, but they're starting to cater to families, as well, according to managing editor of Virtuoso Life Marika Cain. She said one line is even partnering with Disney to bring onboard movie nights and kid-friendly activities onshore.